The ability to record and webcast allows you to reach a wider audience, including distance learners and part time students who cannot attend lectures in person. Each student can effectively store the lecture on their laptop or mobile device enabling them to return to and review at their convenience. The ability for the corporate sector to make the information they have literally go further is good news in terms of staff training, communication and overall efficiency. With WowVision information can be webcast securely live over the internet, recorded for future use and made available for secure download by authorized persons. 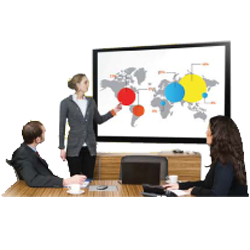 Our solutions, in particular the Collab8, are geared for enterprises to enable teams to collaborate easily, quickly and intuitively – such as the ability to work on a common document, highlight parts of a presentation, add notes, even control displays to show individual ideas and collaborated work, and present on multiple displays at the same time. 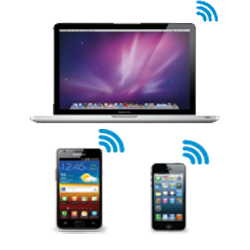 Educators can now virtually teach students wherever they may be – Hong Kong, Delhi, Kansas, wherever – by streaming lectures to displays connected wirelessly to the Internet or a central server, or they may capture a live lecture to store and stream to distributed locations on demand. We wanted to aid educators by developing relevant solutions to virtualise lessons, stream them to multiple locations at the same time, and archive content so that students can access it at any time in the future. By providing virtualisation and distribution capabilities to educators, students can now learn from each other and their teachers, whether they sit together or halfway across the globe. 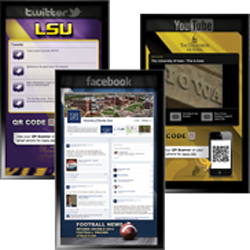 Capitalize on the benefits of a mobile, flexible signage solution featuring a SSD capability. In demanding situations, SSD gives the assurance of a durable product that’s resistant to shock and vibration. With no moving parts that can fail mechanically, your data is accessed electrically meaning data stays safer, while overall operation is safe with quicker read time. The wowVistaplayer is a competent hardware digital signage solution designed for busy individuals on the go, and it is especially variable for mobile retail such as interactive kiosks. Often installed in high traffic public areas, these kiosks must have the latest formation for potential customers or passer-by’s to view.